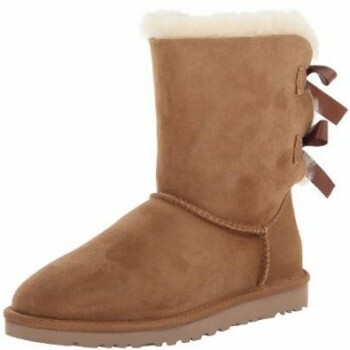 The UGG boots are among the favorites of women from all over the world. They practically became a staple for what it means the fashion trends during the latest years. UGG boots are very versatile and this is why they can be matched easily with many various clothing pieces. In this respect, there is a very important dressing rule to follow when wearing UGGs. This rule stresses out the necessity of making your lower body to look thinner in order to create a contrast. This means to wear UGGs with skinny jeans or leggings for example. For sure this type of combo is very often seen. 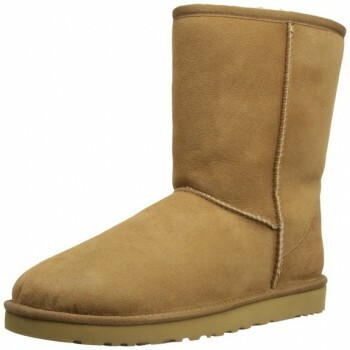 The contrast created by the thin legs and the UGG boots is a successful one and gives you a very trendy look. For the upper body, you can wear a cardigan for example. Another interesting aspect is to try as much as possible to don’t cover the UGGs with pants or skirts because you will reduce their charm (this is another reason why a pair of skinny jeans is appropriate). Besides the skinny jeans, you should try to wear UGGs with a pair of leggings. Add a long cape and you will have for sure a very interesting and chic look. You can definitely match the UGG boots with many pieces of outfit, important is to create the best combos in order to have a trendy look.